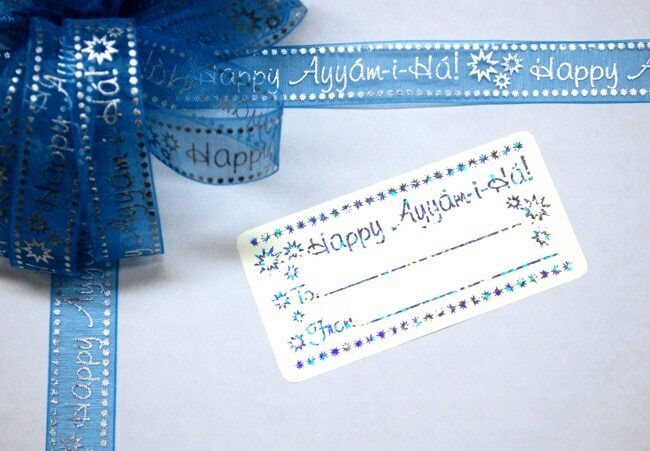 Jazz up your gift giving with sparkling “To” and “From” gift tag stickers. 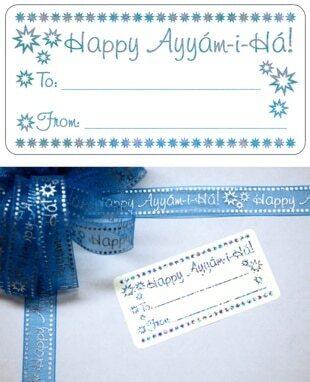 Designed to match our Ayyam-i-Ha ribbon, these 1.5×3″ stickers are stamped with glittering color to make it easy to figure out who each gift is for and who it is from. 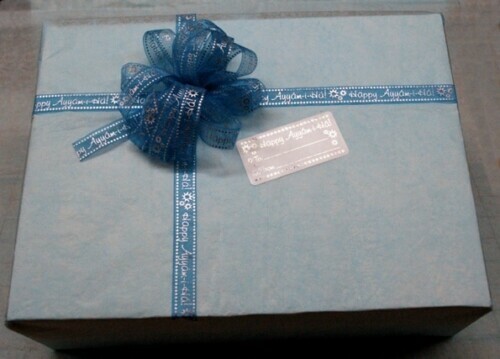 The holographic sparkle creates a rainbow of color that matches any color of paper you choose. For a special effect, make your own wrapping paper by using our sparkle star stickers on plain tissue paper, or our add our larger craft stars in gold, silver, blue and pink to create an all-over paper pattern in stars. 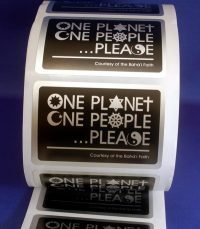 Available in packs of 24 or 96, get enough to last all 4 days for everyone on your gift list.